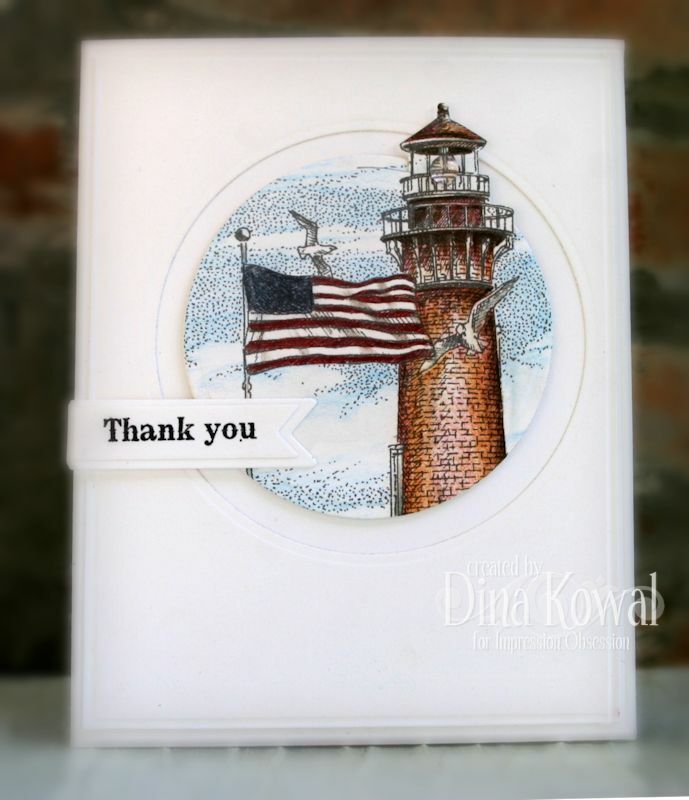 Stamps used: Currituck Lighthouse with Flag; sentiment is a partial image from a new dkdesigns collection being released next month at the CHA Summer Show! I used Polychromos pencils to color the image.... and HERE is a tutorial for cutting the image outside of the Spellbinders die. A beautiful hymne on a beautiful card. Beautiful card! The image is so well colored and I love the how the lighthouse image is positioned. Well done. So awesome and so very inspiring. Love the sentiment. Please -- where may we purchase?